It’s just about time for our Thanksgiving feasts! As I was firming up my Thanksgiving menu, I decided to add something super fun and different for the kids this year. Thanksgiving kebabs! They’re essentially a bite of everything on the menu, on one cute stick. 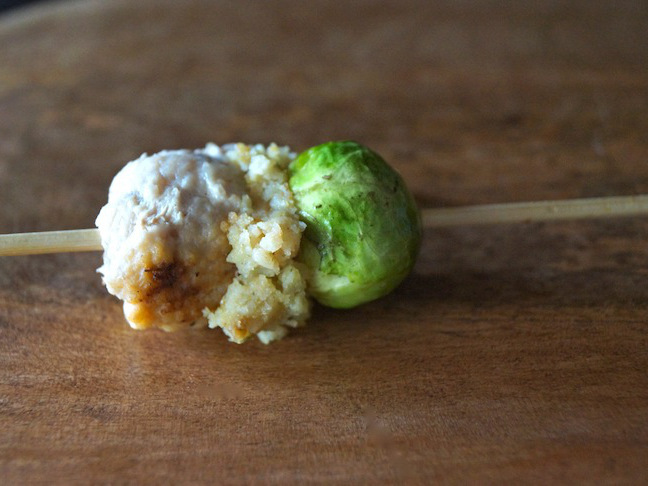 You can totally mix this up—I used turkey meatballs, but you can also use pieces of roasted turkey, and you could add a couple of green beans if you (or the kids) aren’t into Brussels sprouts. 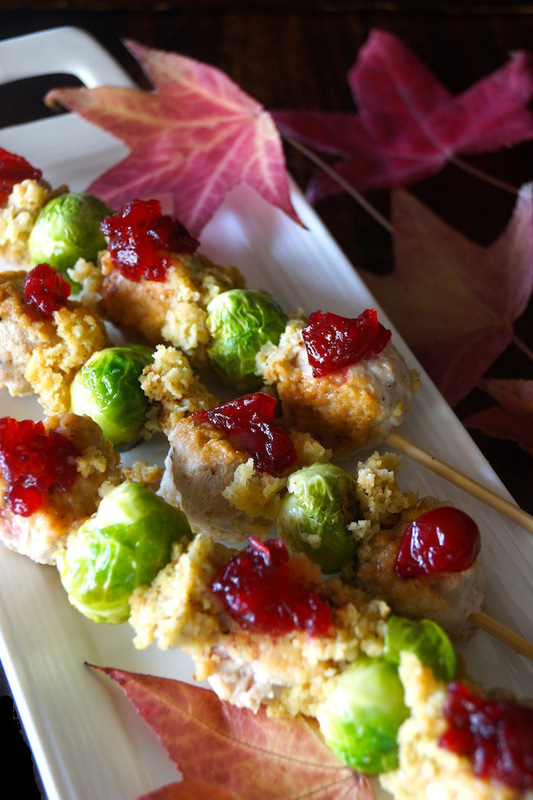 Thanksgiving Kebab Recipe the Kids will Love! *Please note that the prep time might vary. 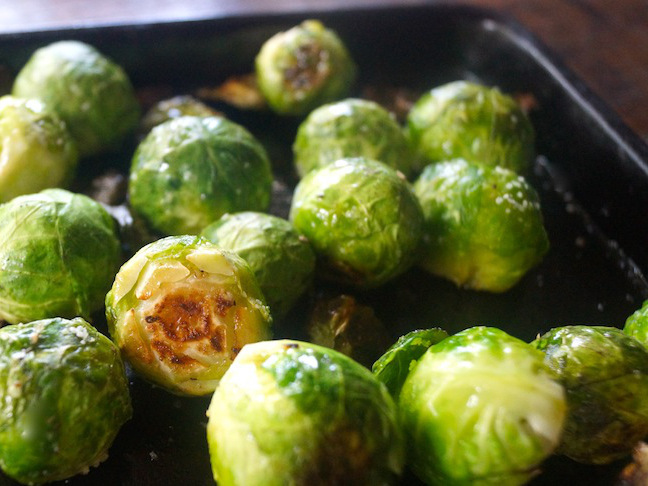 If you use pre-cooked turkey meatballs and pre-cooked Brussels sprouts, it will be reduced by about half. 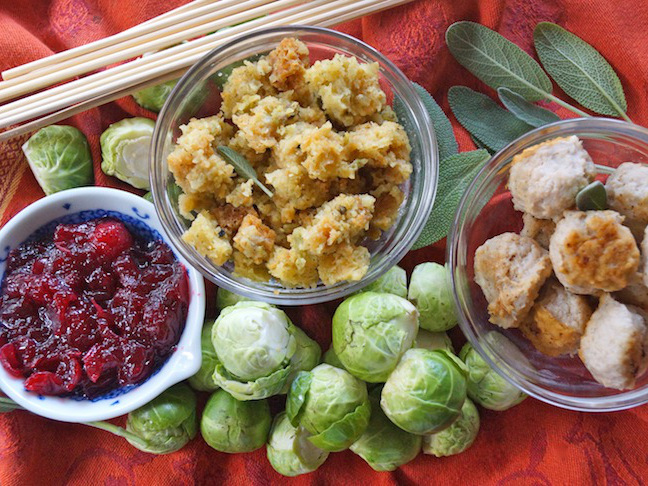 *If you choose to use stuffing instead of croutons, here's is a delicious Thanksgiving stuffing recipe. *Store bought cranberry sauce can be delicious, but if you choose to make your own, this cranberry sauce recipe is fantastic! *You will need approximately (10) 10-inch skewers. 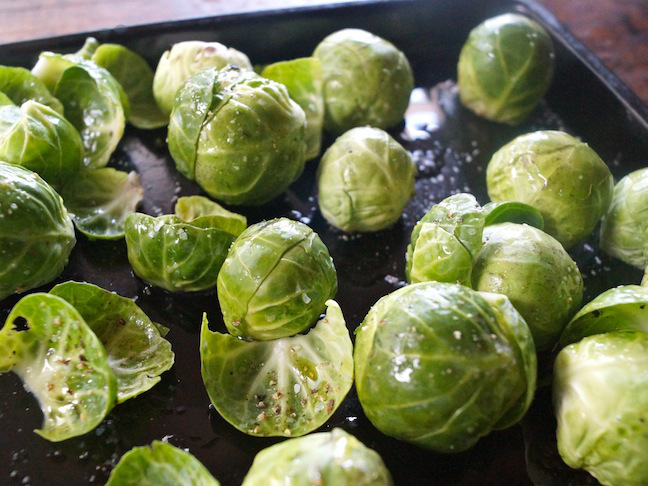 Step 2: Add the Brussels sprouts to a baking sheet, drizzle them with olive oil, and then sprinkle them with salt and pepper. Step 3: Place the baking sheet in the preheated 400 degree F oven, and roast until they're tender and becoming golden brown, about 15 minutes. Set aside to cool. Step 4: In a medium-sized mixing bowl, mix the ground turkey with the onion powder, garlic powder, salt and pepper. Using your hands or a cookie scoop (approximately 1¾-inch), shape 30 turkey balls, placing them on a plate as you go. They should be small, about 1 to 1½ tablespoons each. Step 5: Coat the bottom of a large sauté pan with olive oil and place it over medium-high heat. Add the meatballs and cook for about 2 minutes to brown the bottoms. Then turn them over, cover the pan, and reduce the heat to low. Let them cook and steam for about 3 more minutes, just until they are cooked through. Set aside. 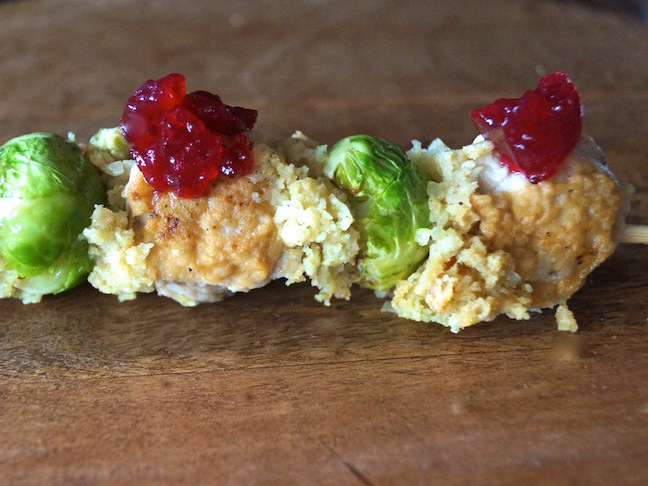 Step 7: Repeat this process twice more, minus a 3rd brussel sprout, and then top each meatball with a tiny dollop of the cranberry sauce. These can be served at room temperature or preferably warmed on a baking sheet. Just pop them in a 300 degree F oven for about 7 minutes.